This type of eighteen residences consists of four bedrooms and large indoor and outdoor spaces. It is part of a large residential development of 250 units located on a prominent hillside overlooking the ocean. The site is approximately 25.5 hectares and offers panoramic views to the Mediterranean sea. 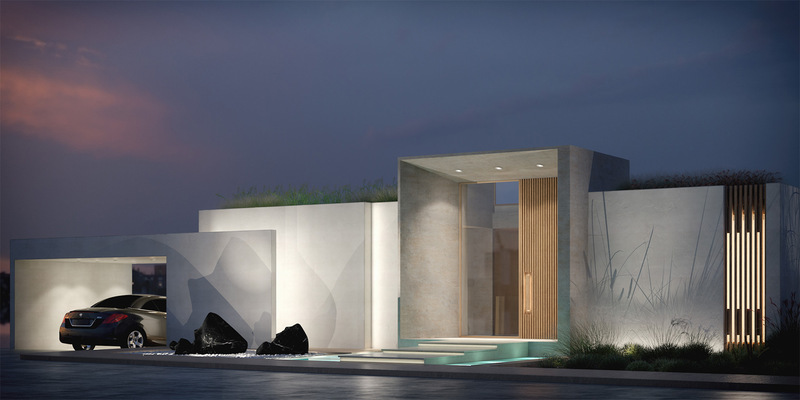 The development consists of luxury villas and apartments of different sizes around a central square, a gallery, a residence club, a cultural centre, restaurants and other facilities. The project is the first Zero-Energy residential development in Cyprus and the fourth one in Europe. 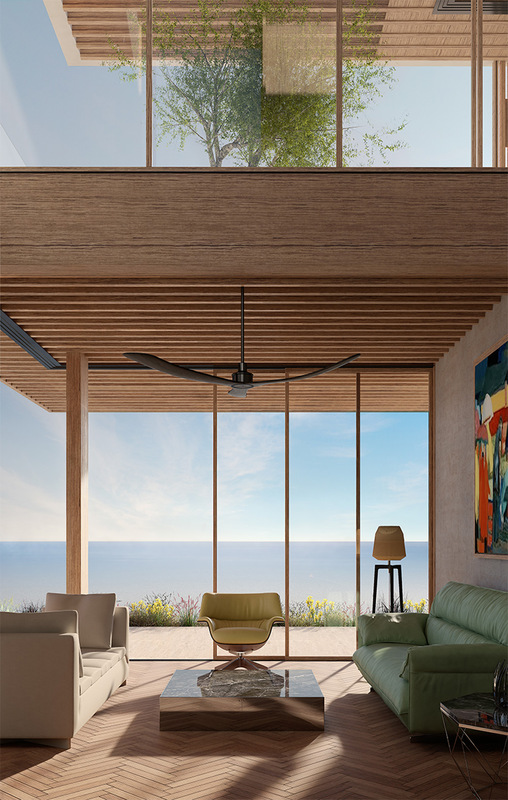 The residences offer ideal indoor climate conditions made possible through application of passive cooling techniques and external shading devices to reduce cooling loads. The challenge was to allow as much daylight as possible into the building while using the best possible renewable energy sources to cover electricity consumption and hot water supply. Questioning perceptions behind constraints about living in hot climates, the residences take advantage of the panoramic views and the outdoor living, while at the same time providing shelter from overheating. During winter, the residence operates as a closed ‘shell’ that provides protection from the natural elements and unobstructed views, while in the summer the ‘shell’ unfolds and opening up to the outdoor spaces.